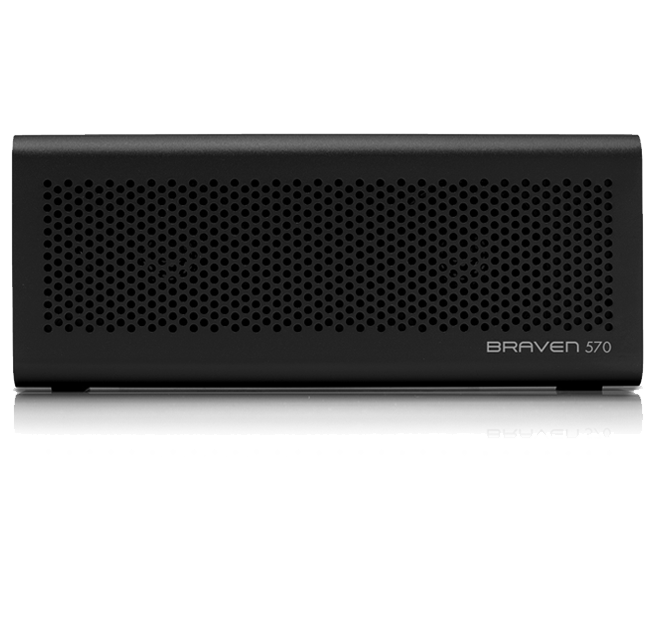 The BRAVEN 570 portable bluetooth speaker allows you to connect with the world around you by sharing your music, movies, games, and more. 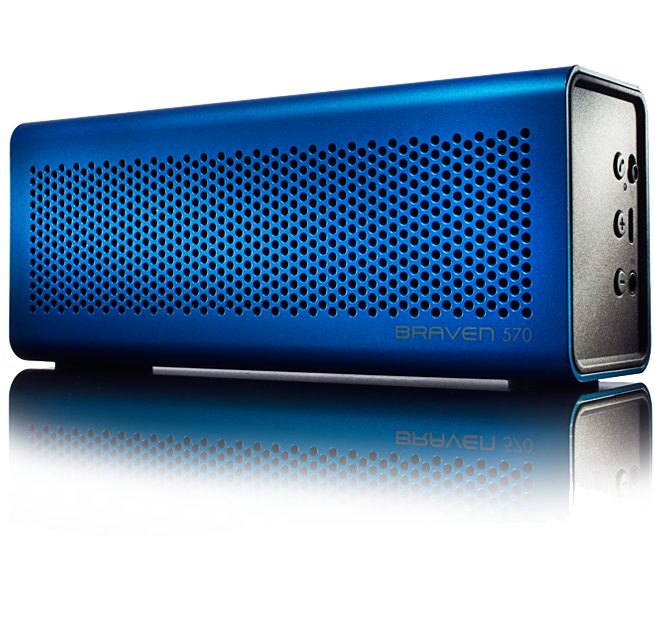 With 6 watts of power and 10 hours of playtime, this portable audio companion will bring your music to life wherever you go! Use it as a speakerphone to make hands free calls, and charge your mobile from the built-in powerbank to keep the party going all night long. 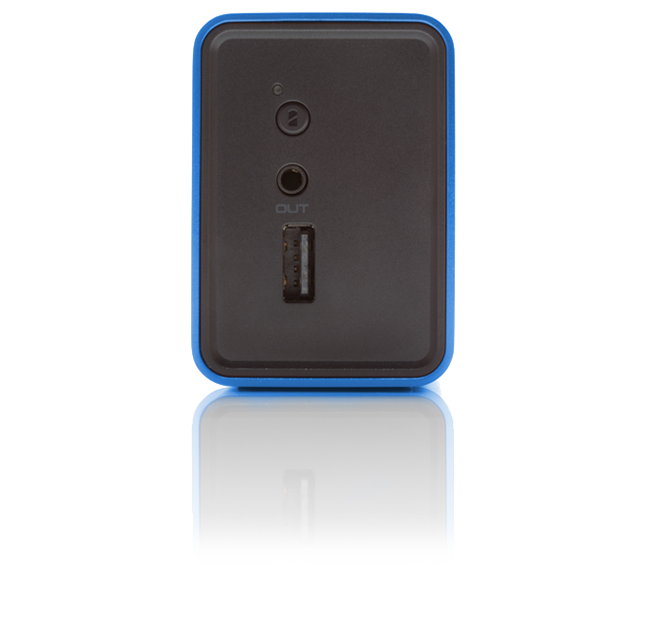 Use the 1200mAh battery to play wireless audio for up to 10 hours. 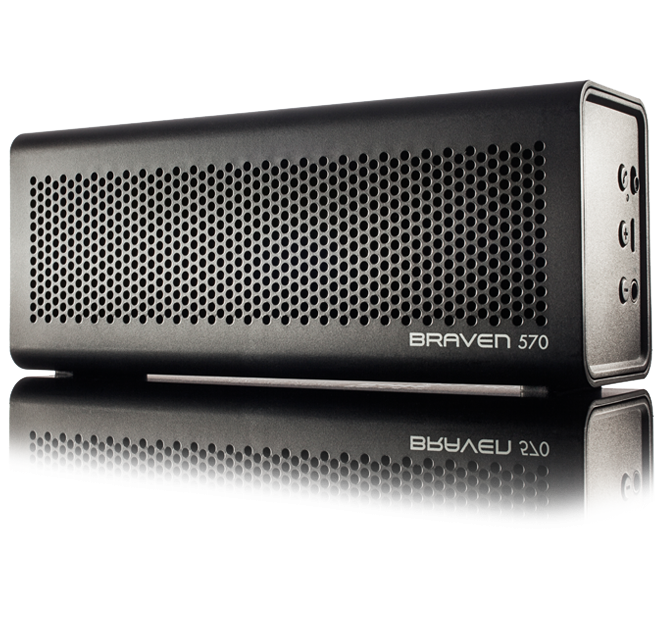 2x customer HD audio drivers provide stereo audio amplified by left and right channel passive sub woofers. Use the built-in noise-cancelling mic to make and take calls wirelessly on your own, or in a group. Noise-cancelling internal mic, compatible with Bluetooth enabled phones, Facetime, iChat, Skype and other applications. 3.5mm Audio Cable - Use this to connect your speaker to any device you can use headphones with. 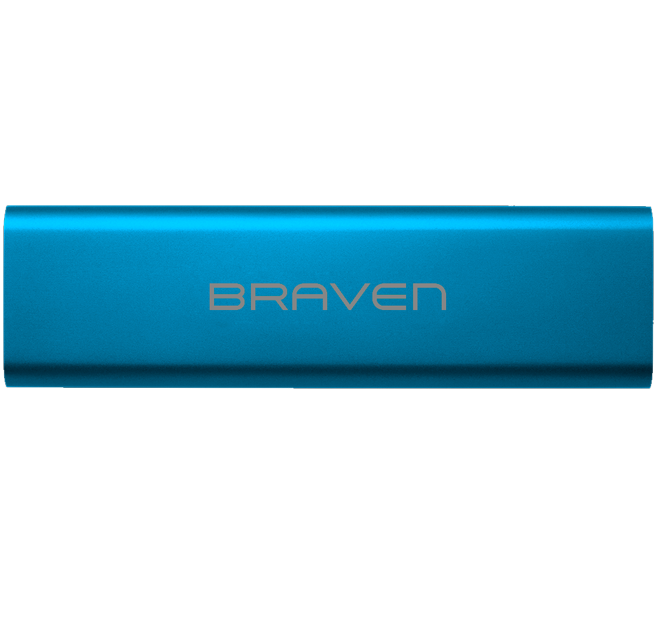 USB to MicroUSB Cable - Works with the international adapter set to charge your speaker. G Style Magazine: "It does everything you want a speaker of this type to do. 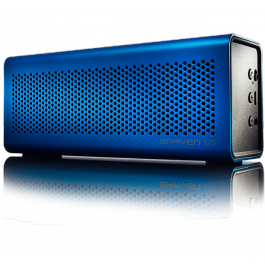 It plays your music, allows you to control both playback and volume, and it can function as a speakerphone. It’s light, very well made, and serves multiple functions. 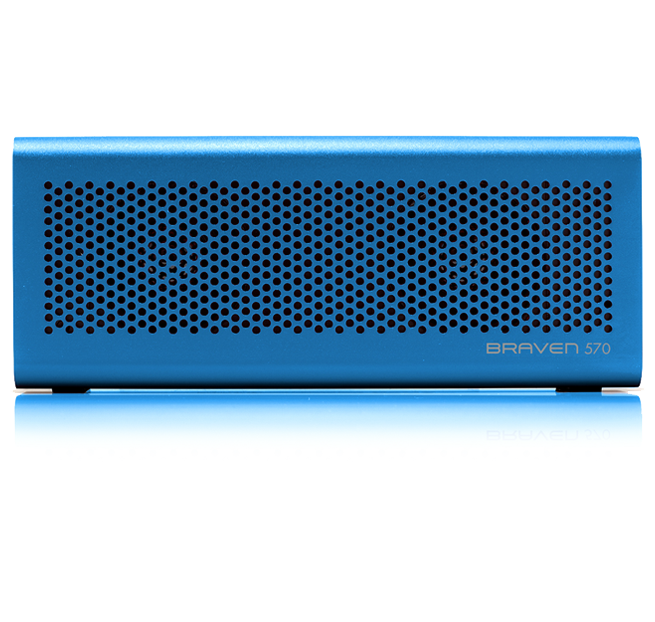 This is definitely one of the best Bluetooth speakers I’ve used."